More than half a million pounds will be pumped into improving cancer services for patients in the West Midlands. 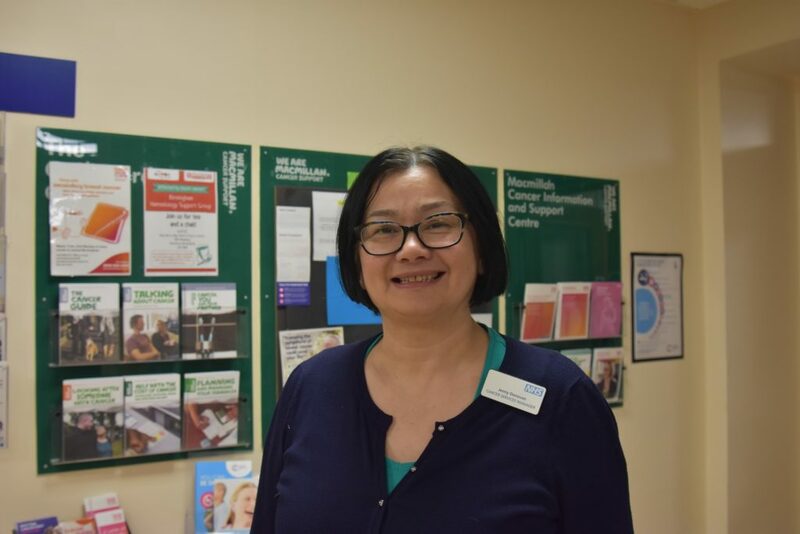 Sandwell and West Birmingham NHS Trust and Sandwell and West Birmingham Clinical Commissioning Group (CCG) are thrilled to have secured £543,000 funding from Macmillan Cancer Care. The money will help to transform services for people living with and beyond cancer across Sandwell and West Birmingham. It is one of only a few areas in the country to secure this level of investment. Cancer Services Manager Jenny Donovan is putting the team together, which will consist of five roles, including a manager, cancer support worker, admin support officer, practitioner and facilitor who will be based in primary care. The funding will be used to implement the Macmillan’s recovery package across the cancer healthcare community. It is a model of care that puts greater emphasis on identifying people’s health and wellbeing needs and finding ways to address them through the provision of person-centred care, with patients empowered to self-manage where possible. Figures for the West Midlands show the number of people living longer than 20 years with cancer was 159,700 in 2010 and will increase by 50 per cent to 310,300 by 2030. However, mortality rates for cancer locally are higher than many areas of the UK. This is an exciting opportunity to make a real impact on how people are supported in the future. This new initiative will deliver a more consistent and effective service with improved access to support for those living with and beyond cancer. Dr Diana Webb, Lead Cancer Clinician said: “This is an important step for us in driving forward our plans to make sure that anyone attending our hospitals for cancer care receives the best possible outcomes. “We have a dedicated and experienced cancer workforce here, who are consistently striving for excellence in cancer care delivery and ensuring patients and their carers have the best possible experience. “This new additional funding will see us continue our close working relationship with Macmillan, SWB CCG, Cancer Research UK and our primary care colleagues to ensure that a personalised, patient-centred approach remains at the heart of our care. “By embedding the Macmillan recovery package alongside our clinical care pathways, our patients will benefit from holistic needs assessment and care planning and have access to health and wellbeing events which will promote independence and healthy lifestyles. Dr Nick Harding, Chair at NHS Sandwell and West Birmingham CCG, added: “We are delighted to secure this vital funding to help improve the experience of people living with and beyond cancer in Sandwell and West Birmingham. “The impact of cancer doesn’t suddenly stop when treatment is over and we are committed to transforming services so that our patients benefit from high quality cancer care that supports them in their long-term recovery. “Our aim is to ensure that everyone receives the personalised care and support they need, when they need it, to live a happy and healthy life. “This important programme builds on our strong track record of making a step change in health through partnership and innovation. “Working in partnership with local GP practices and the Trust, we have already delivered pioneering initiatives such as the Primary Care Commissioning Framework (PCCF) scheme.